Click the "+" to add more schools. Accepted file types: pdf, jpg, or png. Max file size: 16MB. If divorced, separated or single, please attach copy of most current court order. Indicate: step/half/foster, if appropriate. Click the "+" to add siblings. Please enter "None" in the name if no siblings. Copies of the following documents can be sent under separate cover or uploaded below. Please upload copies of Baptismal, Penance, Holy Communion and Confirmation certificates. Accepted file types: pdf, jpg, or png. Max file size: 32MB. Accepted file types: pdf, jpg, or png. Max file size: 32MB. Please be sure to view our Financial Aid page to learn more about scholarships and financial aid opportunities (opens in new window). For more information on financial aid, please visit National Association of Independent Schools Aid. 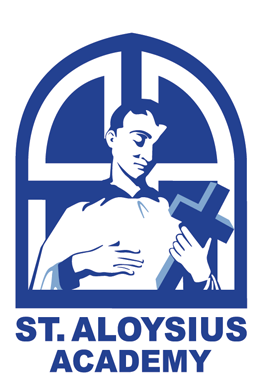 St. Aloysius Academy's code is 6219. I/we realize we are bound by the policies and procedures as set forth in the Parent/Student Handbook. I/we, the parents/guardians of the applicant, confirm that the information in this application is accurate. Both parents (guardian) bear full responsibility for all financial obligations to St. Aloysius Academy. This includes both tuition and any applicable fees. Please select your payment method. If you choose PayPal, you will be redirected to PayPal's website to complete your payment.